Six people have been arrested in connection to a foiled plot to attack French President Emmanuel Macron, an official said Tuesday. Suspects had an "imprecise and loosely-formed" plan for "violent action" against Macron, a source close to the matter told the Associated Press and Reuters. French broadcasters BFM TV reported that the six were members of a far-right group, according to Reuters. The arrests were made in southeast of Lyon, in Moselle on the border with Germany and Luxembourg and in northwest Ille-et-Vilaine, Reuters reported. 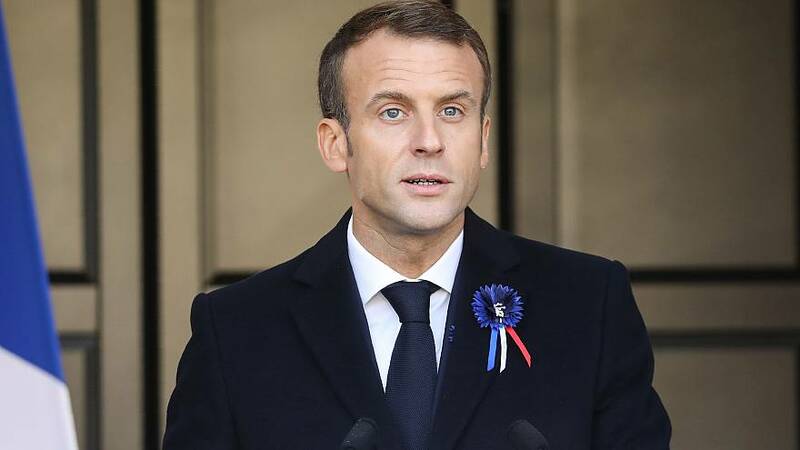 Macron was in the northeast city of Verdun, about 160 miles away from Paris, on Tuesday to take part in World War I commemorations. President Trump is scheduled to visit France this weekend.